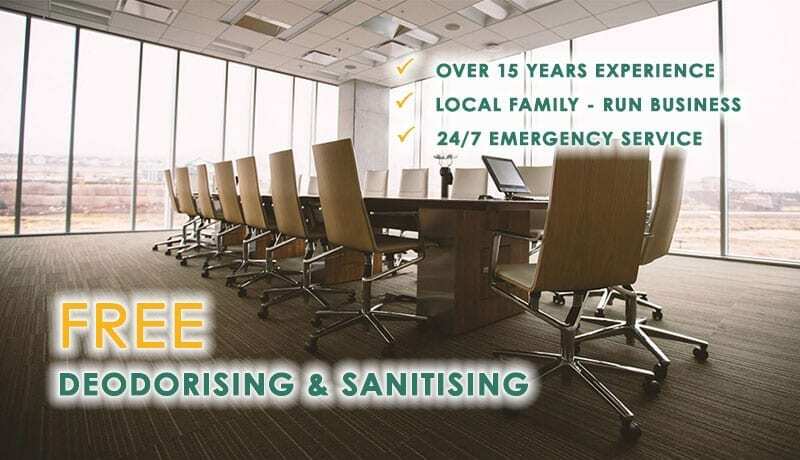 We have been providing expert carpet cleaning services from our two locations in Newcastle and Morisett for over 18 years. We cover Cessnock as well as Newcastle, the Central Coast, Maitland, Hunter Valley and Lake Macquarie. We are a valued member of the community who are transparent about the work we perform in explaining just how stain removal works and the chemicals that we use. All our technicians are IICRC certified (Institute of Inspection and Restoration Certification). We are very professional in our approach to our job, always showing up on time and disrupting your daily activities as little as possible. There are two man types of professional carpet cleaning methods, the steam cleaning and the carpet dry cleaning method. We use only the steam cleaning method. Steam cleaning is the most thorough and deep-cleaning method of carpet cleaning in our experience. It penetrates and loosens dirt and grime embedded deep in the carpet pile and allows us to remove that dirt and grime all the way from the base of the fibres. Carpet dry cleaning uses a large surface to buff the tops of your carpet, removing dirt and grime from these top layers only. We feel that it only does half the job. It’s become popular because your carpet will be drier faster. But within days, you’re carpet will appear dirty again as the dirt in the lower layers of the carpet still remains. Why deal with the money spent and time wasted having cleaners come to your home only to do the job halfway? Rely on the proven steam cleaning method of Aussie Pro Cleaning. We provide rug, upholstery and mattress cleaning using the same steam cleaning method. One of our most vital services is flood damage restoration of your carpet. Water damage can ruin a carpet, whether it’s from natural flood waters or from damaged plumbing in your home. The key in preventing damage is to have it dealt with professionally and promptly. We are available 24/7 for emergency calls that we can quickly respond to, saving you from potentially having to replace your carpet. Our quick response services will cost just a fraction of what replacing your carpet would cost. We are standing by and ready to answer any questions about any the services we offer. Call us today to make an appointment to have your carpets, rugs, upholstery or mattresses cleaned professionally and thoroughly.